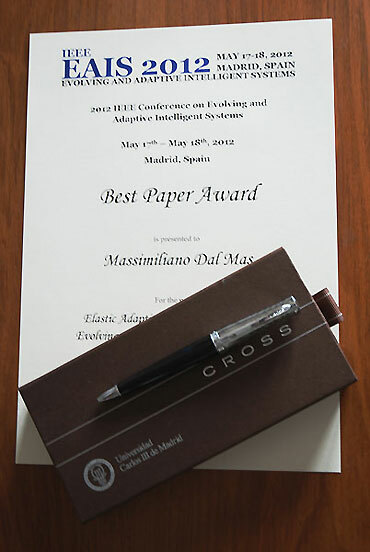 EAIS-2012 IEEE Conference on Evolving and Adaptive Intelligent Systems :: Massimiliano Dal Mas :: maxdalmas :: Dal Mas Massimiliano :: Welcome ! Semantic networks can simulate the human complex frames in reasoning process providing efficient association and inference mechanisms. Ontology can be used to fill the gap between human and computational intelligence for a task domain. For an evolving environment it is important to understand what knowledge is required for a task domain with an adaptive ontology matching. To reflect the evolving knowledge this paper considers ontologies based on folksonomies according to a new concept structure called "Folksodriven" to represent folksonomies. Folksonomies are a set of terms that a group of users tagged content without a controlled vocabulary. A Folksodriven Structure Network (FSN), built from the relations among the Folksodriven tags, is presented as a folksonomy tags suggestions for the user to solve the problems inherent in an uncontrolled vocabulary of the folksonomy. It was observed that the properties of the FSN depend mainly on the nature, distribution, size and the quality of the reinforcing Folksodriven tags (FD tags). So, the studies on the transformational regulation of the FD tags are regarded to be important for an adaptive folksonomies classifications in an evolving environment used by Intelligent Systems. This paper discuss the deformation exhibiting linear behavior on FSN based on folksonomy tags chosen by different user on web site resources, this is a topic which has not been well studied so far. The discussion shows that the linear elastic constitutive equation possesses some leaning for the investigation. A constitutive law on FSN is investigated towards a systematic mathematical analysis on stress analysis and equations of motion for an evolving ontology matching on an environment defined by the users' folksonomy choice. 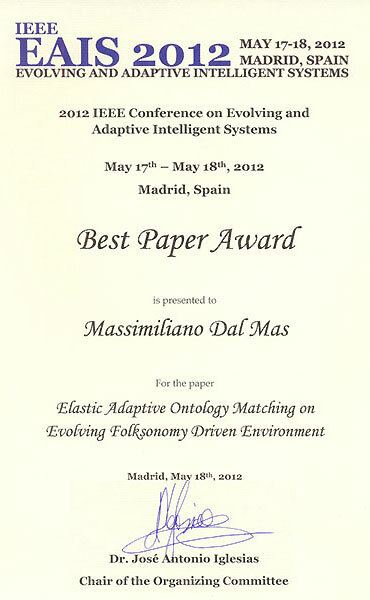 The adaptive ontology matching and the elastodynamics are merged to obtain what we can call the elasto-adaptative-dynamics methodology of the FSN.